And that's why it's time to end the show. 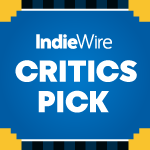 Comedy Central provided three episodes of “Broad City’s” final season for review, and all three are excellent. “Stories,” the Season 5 premiere, should get critics and fans talking about the gifts and pilfers of social media — how, in an episode shot as if on an iPhone and told as if it’s an Instagram story, the dedication to telling stories for others can rob the storyteller of their own experience. “Artsy Fartsy” and “Lost and Found,” which will air almost a month later, dig into personal growth moments for Abbi (Abbi Jacobson) and Ilana (Ilana Glazer) — moments told in classic “Broad City” structure, but pushing each leading lady to decisions they’ve been avoiding. “Stories” ranks among the best episodes of the series, and the other two prove Jacobson and Glazer — the creators, writers, directors, producers, and stars — remain at the top of their games. “Broad City” still delivers all the joyous she-rah inspiration and whip-smart social commentary that helped make it a sensation more than five years ago. So why, when the series and stars remain outstanding, is Season 5 the final entry in “Broad City’s” impressive canon? Well, because of exactly that. Not only have Glazer and Jacobson grown as artists to the point where they need to explore new pursuits, new characters, and new mediums beyond their breakout series, but they recognize the need to stop telling stories about what it’s like to be a 20-something-year-old scrapper when you’ve aged out of that lifestyle. Glazer and Jacobson are ready to tell a story about who they are now, not who they were, and that’s just as exciting. All the reasons you need are right there in the episodes. The adventurous spirit fueling “Stories” shows an eagerness to explore other artistic methods. Tracking Abbi and Ilana as they walk Manhattan from the top of the island to the bottom, each highlight of the tour is captured via their phones. While it still tells a traditional narrative with real, in-the-moment scenes — like when Abbi gets the “birthday blues” mid-lunch — much of the episode is constructed with emojis flashing across the screen, slow-motion shots of random NY weirdos, or photos filled with colorful graphics. One of the highlights is Ilana’s Olympics-inspired commentary over Abbi’s finger skating routine. “Stories” is exactly the kind of thing you get caught up watching on an app one morning, only it’s way better shot, way better put together, and way, way funnier — in other words, it’s exactly the kind of thing these professional storytellers should deliver to their target audience. And yet the episode’s ending is more cautionary than celebratory, warning against overindulgence in social media instead of getting behind the creativity it inspires. Jacobson and Glazer still have the youthful exuberance needed to make this kind of episode, but they now also have the experience to hand down advice. This knowledge transfers over to Abbi and Ilana as characters, too. In all three episodes, the best friends hit important milestones: Abbi learns to expect more of herself (and make more of her opportunities) than she would’ve dared do a decade prior. Ilana finds a career path worth getting excited about and settles into her personal passions just as securely. Together, they forge ahead in their friendship without worrying about how crazy close they are, even though a new romantic opportunity threatens to redefine their dynamic in unexpected ways. Fan favorites like Lincoln (Hannibal Buress) and Jamie (Arturo Castro) earn big next steps, as well, and none of the characters’ closure could’ve happened without acknowledging it’s time to end the show. Even though “Broad City” stands as the fresh, funny, enlightening entertainment its been for some time, it’s the right time to say goodbye. Plenty of other series’ creators note how they’d rather end the show while it’s still good than ruin the legacy by making more, middling seasons. But that’s especially true for “Broad City.” They’ve chronicled what it’s like to be an up-and-coming 20-something New Yorker in the 2010s — and now, in the age of Trump — so let the show stand as a time capsule to that experience. Let it be what it was meant to be, and nothing more. And then, let’s see what’s next. 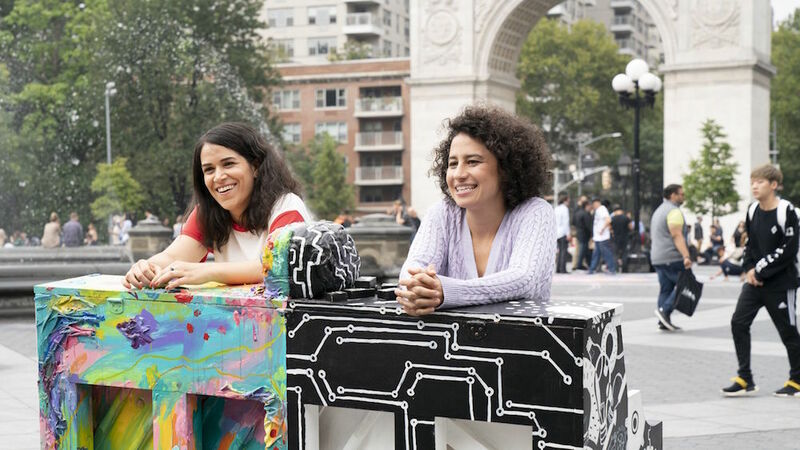 “Broad City” Season 5 premieres Thursday, January 24 at 10 p.m. ET on Comedy Central.